After completing my B Comm at Wits University, I wrote my chartered accountants’ board exam and completed my articles as a senior auditor at Deloitte & Touche (now Deloitte). I then joined ISM (now IBM) in the finance department. I quickly realised ales was where the action and the money were, and IBM was a leader when it came to sales training. So, after a year in finance, I moved onto the Nedbank account as a client manager. 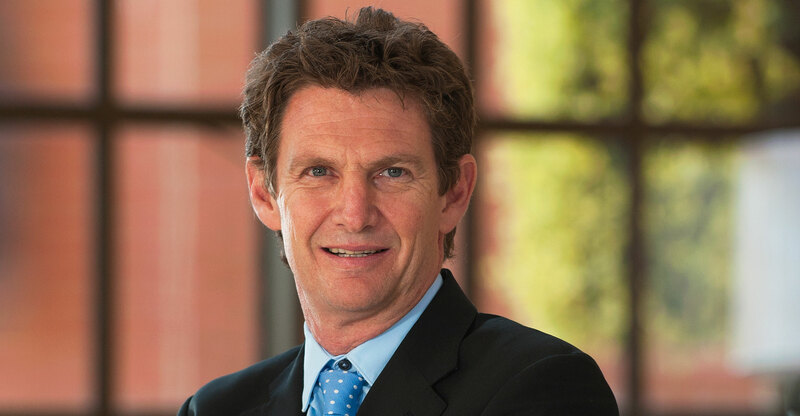 After two years, I was appointed financial controller for IBM South Africa, responsible for the overall finance and commercial environment for the business. Stephen Hawking: A remarkable man who proved that personal circumstances don’t have to dictate the value you can bring to the world. Having been diagnosed with motor neuron disease at 21, he went on to be the most influential scientist of our time and has broadened the horizons of all of our thinking when it comes to understanding and appreciating the universe. I don’t think there are many people who’ve challenged our thinking the way he has. 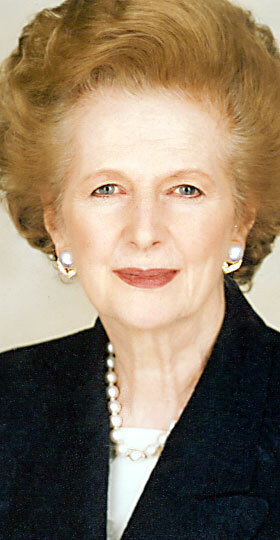 Margaret Thatcher: Thatcher became UK prime minister at time when the economic outlook was dismal. She made some tough calls regarding the unions, and and going to war in the Falklands. Although many people turned against her, she always acted with honesty and integrity. Ultimately, the UK gained strength from her strength, which demonstrates a characteristic of effective leadership that I admire. Louis Gerstner: I was working at IBM when Gerstner took the reins of the global business as CEO. At the time, morale was low and there was a feeling among many that IBM was doomed. Watching Gerstner turn IBM around was incredible. The company had its best run for more than a decade thanks to what he put in place. In his book, Who Says Elephants Can’t Dance?, Gerstner says that with the right kind of leadership and fresh thinking, you can turn a troubled company around – even one the size of IBM. Richard Branson: Just consider the number of industries Branson has become involved in — and transformed. From media to music, airlines and mobile phones to healthcare and insurance, it’s phenomenal what he’s managed to achieve and how he’s continued to innovate. He always seems to enjoy what he’s doing, too. That’s important. “Recognise your culture as an asset worth investing in.” If your organisation’s culture is distinctive, and an accelerator of your success, you need to put a great deal of effort into nurturing and growing it — and communicating it across your organisation. If you speak to any of the senior leaders in our organisation, they’re always talking about their people: how they’re developing them and keeping them passionate, and what they’re doing to attract the best new skills. Apple’s iPhone X. Because of my busy travel schedule, I spend much of my time on my phone. I like the quality of the screen, the available apps and the improved battery life. I always read two books at the same time — one to learn — and the other for relaxation. My current learning book is Zero to One — Notes on Startups, or How to Build the Future, by Peter Thiel. At the end of the book, Thiel challenges the reader to play an active role in what our future as a society will look like in 20 or 100 years. We can’t take for granted that it will be better, which means we must work to build it now. The other book I’m reading is Running with the Krays, by Freddie Foreman. The book re-lives gangster life in London in the 1960s. 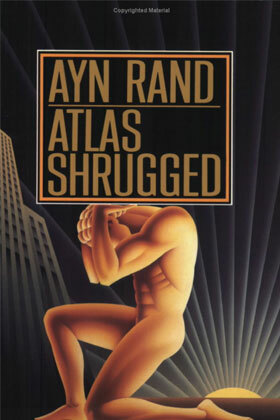 I enjoyed Ayn Rand’s The Fountainhead and Atlas Shrugged. Although I don’t agree with everything that Rand wrote, I like the theme of working hard and building a skill that makes your contribution unique; the bravery of doing things your own way; and the sense of purpose and determination of her characters. Another favourite is The Kite Runner, by Khaled Hosseini. It’s beautifully written, simple and often sad, with characters who are engrossing. Dead Poets Society. Robin Williams is one of my all-time favourite actors and comedians. I also love Good Morning, Vietnam. A small watercolour that my late dad painted when he was in his 70s. It’s a beautiful painting of a meandering river, close to where he lived in the UK. He’d never painted before, and only took it up as a hobby when he retired. People don’t believe that it was painted by an amateur. I’ve been lucky to have had a few highlights in my career. The first was passing my B Comm board exam. Another was closing my first deal at Nedbank, an ATM order for 100 Diebold machines. Getting my first commission cheque was cool. 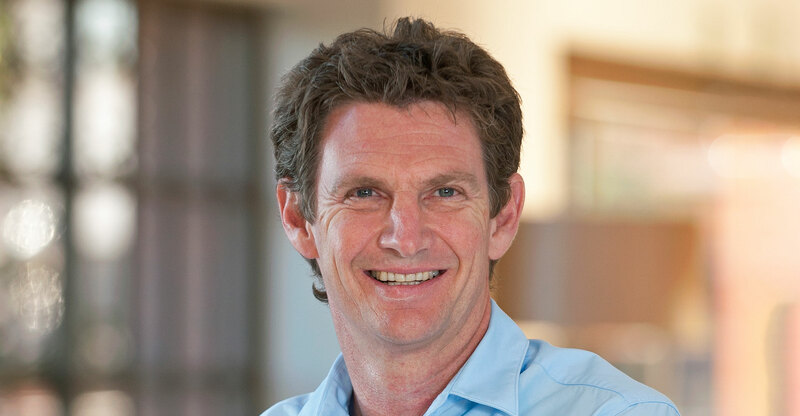 The most important highlight of my career was being appointed CEO of Dimension Data two years ago. I don’t have any major regrets. I sometimes look back and think I could have done things slightly differently, or maybe stuck to my sport at university a bit longer, but nothing that I think would have fundamentally changed my life. However, I do have a bucket list of what I still want to do so that I don’t have regrets later in life. I want to make the most of the opportunity I’ve been given at Dimension Data. I want to climb Mount Elbrus in Russia, attend all the Formula 1 races in the world, and — when I have time to train — I’d love to complete an ironman triathlon. I don’t get stressed too often because I’m pretty good at focusing and prioritising. And I make sure I schedule in some downtime. For me, there’s nothing better than spending time in the African bush. I also love sport and travelling with my family, and active holidays where we try new things, like hiking, scuba diving, boating, skiing and sky diving. Professionally, I wish I had better software programming skills. The world is moving to an agile, application-orientated environment where management and intelligence are being abstracted into the software layer. I think everyone should have a basic understanding of software development and programming skills. I’m learning this in my spare time. Personally, I’d like to be more creative in music, painting and writing. I’ve attempted to learn to play various instruments and was hopeless, so I focused rather on creative writing. “Perform while you transform.” I use this phrase all the time. I believe that established businesses that don’t embrace digital transformation won’t be relevant and competitive in three to five years. For some, time has already run out. Every company needs to transform because there’s no plan B. But transforming a mainstream business isn’t easy. It’s like trying to change a jet engine at 10 000 metres! Organisations must perform as they transform; they can’t stop and take a break from business as usual to focus on transformation.